» Why do the Japanese Work Such Long Hours? 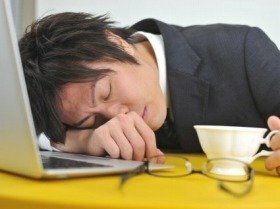 Why do the Japanese Work Such Long Hours? The Japanese word “karoushi”, meaning “death from overwork”, is a term that has gained recognition across the globe and is arguably testimony to the zeal with which many Japanese people carry out their work. Westerners observing Japan’s high standard of living and yet long labour hours often struggle to fully comprehend the Japanese mindset. The prevailing ideology for many in the west is that we “work to live”, in Japan, however, many appear to live to work. In the west, is working long hours a sign of incompetence? However, from a western viewpoint, it is looked upon rather negatively to work long hours without a break. The reason for this is that working excessively long hours is thought to be a sign of inefficiency; those unable to work efficiently have to make up lost time by extending the hours they work. Going by this principle, hearing that someone only managed to get three hours of sleep due to work commitments suggests a lack of ability or time management skills. For this reason, it is considered that the shorter working hours of the west is rather a mark of efficient working conditions. Paid holiday when one wants without the constant feelings of awkwardness. I’m not saying that the Japanese should adopt the western style of thinking. What I do feel would be beneficial however is that the working environment be tailored in a way that allows workers to take paid holiday without being made to think they are burdening fellow workers. This, I believe, will in turn lead to a more productive and fruitful society. A while ago I met up with a friend whom I knew from high school. She is now a full-time employee at a company; however she mentioned that she only gets a total of seven days off per month. The annual paid holiday isn’t much better either, coming in at a total of three consecutive days. What’s sad about all of this is that during our high school days, she always had an interest in traveling abroad, but under the current circumstances doing so is close to impossible. Nowadays, a trip to a local hot spring is about as far afield as she’s able to venture. Like many Japanese workers, this friend of mine is perfectly entitled to a much longer holiday. Nevertheless, Japanese staff asking to take all of their paid leave at once are met with a frosty reception. On the one hand, most employees want to take a long holiday and go abroad, but the friction that doing so creates among co-workers is just too much of a deterrent. I really feel that Japan needs to create a working environment in which one can take time off when they want, without the current feelings of guilt. These attitudes towards work ethics may not change overnight but by altering the way we think about taking personal holidays, gradually the idea that “holiday = efficient workers” can be promoted in a positive way. With staff taking a holiday and refreshing themselves, it is arguably possible to increase the overall workforce’s efficiency.